Churchville, Maryland – home to a population of a few more than 2,800 happy residents and beautiful scenic churches throughout. Like the rest of Maryland, Churchville has quite a humid climate, with an average 45 inches of rain per year. 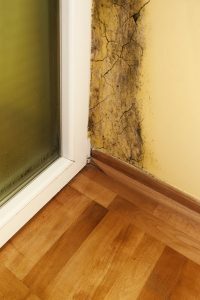 This makes it a perfect host for mold problems to develop in the home if residents aren’t careful – even the most airtight homes can develop mold, and if left unattended, it can seriously harm not only your home, but yourself as well. If you find yourself faced with a mold problem in your home, it’s recommended that you call an expert to get it taken care of. This is where AA Active Waterproofing comes in. With over 25 years of experience with waterproofing and mold remediation in Churchville, Maryland, AA is your best bet to getting your mold problem solved so you can go back to enjoying your home. Keeping an eye out for these symptoms in everyone in the household is a fantastic way to detect a mold problem early; especially if the symptoms abate or lessen when you’re no longer inside your home. If you notice any of these signs, call AA Action Waterproofing for a free quote for their services in mold remediation in Churchville. Instead, AA Action Waterproofing provides quality mold remediation in Churchville, Maryland, getting as close to removal as possible to protect your home. The goal with mold remediation is to get the mold levels back to the normal, natural level to keep it from growing further and advancing throughout your home. If you’re in need of mold remediation in Churchville, don’t wait – call AA Action Waterproofing today.